ECMS Takes 1st Place at the Stiles Golf Tournament! 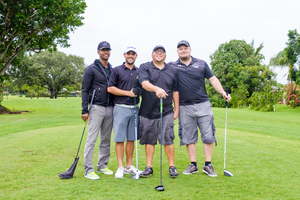 Last Saturday was the 38th Annual Stiles Golf Tournament held at the Woodlands Country Club. We are proud to have sponsored such an awesome event. Daymon Allmon, Brad McAfee, Brad Coleman, and Johnny Rowe all attended and represented ECMS. Taking home 1st place definitely made our weekend! Great job to all the players and everyone that came out and supported the event. We look forward to the next one.